Mark Wilson/Getty ImagesOmarosa Manigault Newman. Omarosa Manigault Newman, a top aide to President Donald Trump, on Thursday denied that she was fired and said a reporter with a “personal vendetta” against her had spread a false narrative. Newman told ABC’s “Good Morning America” that she resigned after expressing “concerns” and “issues” with the administration. 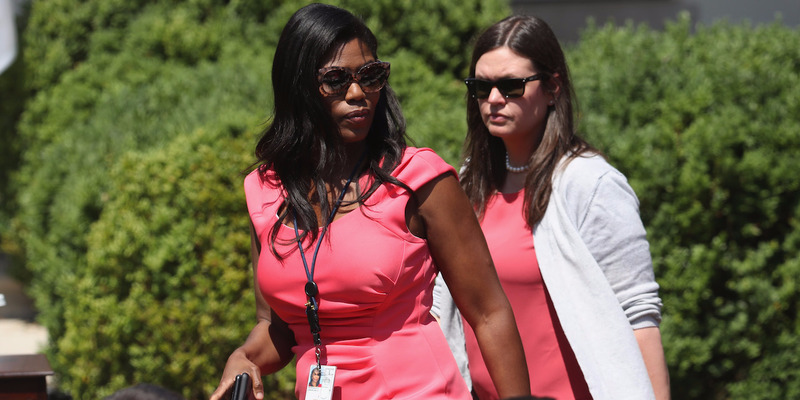 She added that she had a “profound story” to tell about upsetting experiences she had while serving as the sole black woman among the president’s top aides. April Ryan, American Urban Radio Networks’ White House correspondent, reported on Wednesday that Newman protested the news of her firing from the White House chief of staff, John Kelly, on Tuesday. Ryan said Newman attempted to enter the White House residence to speak with the president but was stopped by Secret Service agents and escorted from the grounds. Newman described a very different series of events, telling ABC’s “Good Morning America” on Thursday that she resigned as director of communications for the White House’s Office of Public Liaison after expressing concerns about the administration in a conversation with Kelly. Newman declined to elaborate but said that once she officially leaves the White House on January 20, she would have a “profound story” to tell about negative experiences she had as one of two black members of Trump’s top three dozen White House and Cabinet officials. “There were a lot of things that I observed during the last year that I was very unhappy with, that I was very uncomfortable with,” Newman said. The Secret Service said on Wednesday evening that it had deactivated Newman’s pass, which grants access to the White House facilities, but was not otherwise involved in her termination or escorting her off the premises. Newman described Kelly’s leadership style as “militaristic” and said she wasn’t sure he wanted her on his team, though she added that he had brought “much-needed order to the West Wing” since becoming the chief of staff in July. She said some Trump aides took issue with the level of access she had to the president before Kelly enforced more restrictive rules about Trump’s communications with staffers. “Certainly I had more access than most, and people had problems with that,” she said. Some close to Newman have said she had concerns about the president’s response to a white supremacist rally in Charlottesville, Virginia, in August and about his support for Roy Moore, the defeated Republican US Senate candidate in Alabama whom multiple women have accused of sexual misconduct.